Two things happened a while ago that persuaded me that this post was meant to be written. First, Dani asked me to do it and then Enya fell on me while I was reading a book. 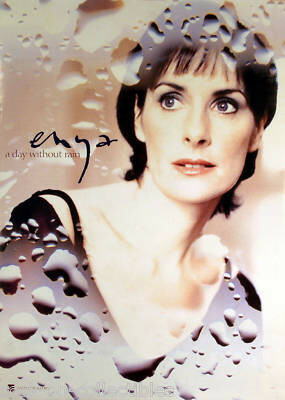 Now, it wasn’t Enya Enya, it was just a badly attached poster of Enya but since I will be writing about posters, it surely was a sign, wasn’t it? If you are looking for an Enya poster to keep in a tube or to show your affection to the world, there are more ways to get it. The easiest way is to print a high-resolution photo yourself. It will certainly get the job done but since we are talking about collecting today, I will omit this option and write about promo poster released by Warner. From my experience, you’ll find the largest selection on eBay. 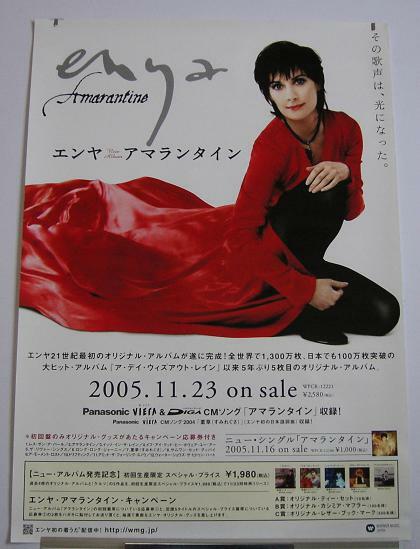 Majority of posters available there date from early 2000s i.e. 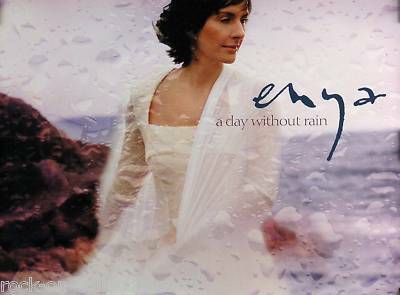 ‘A Day without Rain’ release. Posters promoting ‘The Celts’ and earlier albums exist too but they do not show up very often. 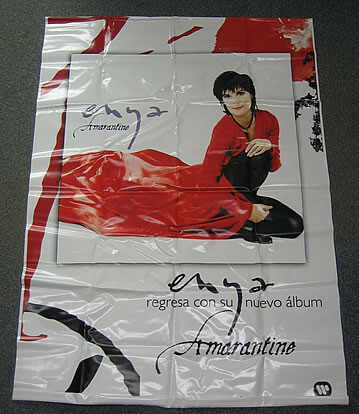 The most widespread formats are 12″x12″ (cover artwork), 18″x24″ and 24″x33″. If you do not want to go the eBay route, there is another chance when a new album is released. Harass staff at your local music store until they give you free posters! This usually works if you buy something and then ask very, very nicely. However, they sometimes forget about you, so it’s better to come back regularly. I would like to mention the japanese ones yo usee for a day without rain are flyers and leaflets btw, i wouldnt think of anything of buying them, there too small to put on your wall and too small to keep properly theyd get ripped to easy. The big memory of trees one with the album cover on it, (First i ever purchased), The And Winter Came one (truly beautiful cover at first and when you get it, its 4x big so its even more better). And finally the A Day Without Rain one where its mainly purple toned and shes looking out a window kind of look and its portrait. I also have a 5th which is a gorgeous Amarantine one which basically is the cover of the Amarantine single promoting the album and is same size roughyl as the And Winter Came one. Id say get the bigger the better, for your money. They are relatively not cheap, i pay about ?25+ for each poster, they are hard and dont come about easy on ebay but its the best place to look. (Some people look out for have their own a4 posters printed to sell, dont buy them, they arent genuine). You’re famous now! And you have a lovely poster collection too. 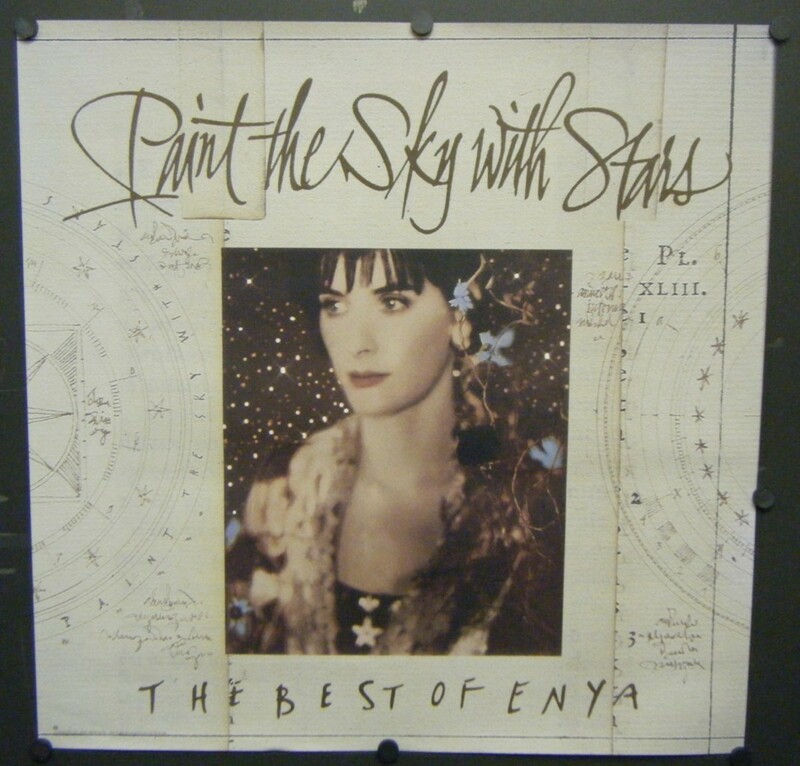 I am thinking about getting the PTSWS poster as I love the cover artwork. 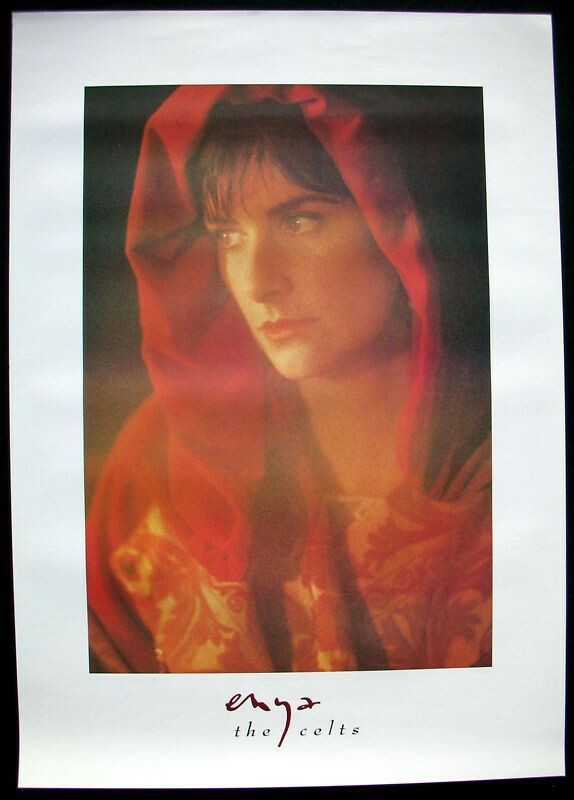 I was also hesitating to buy The Celts poster that you have but while I adore the photo, I do not like the text over it. Do you hang/frame your posters? Or you just store them? I am thinking about framing the ADWR one as it isn’t in a very good shape anymore. I keep the others stored away. P.S. 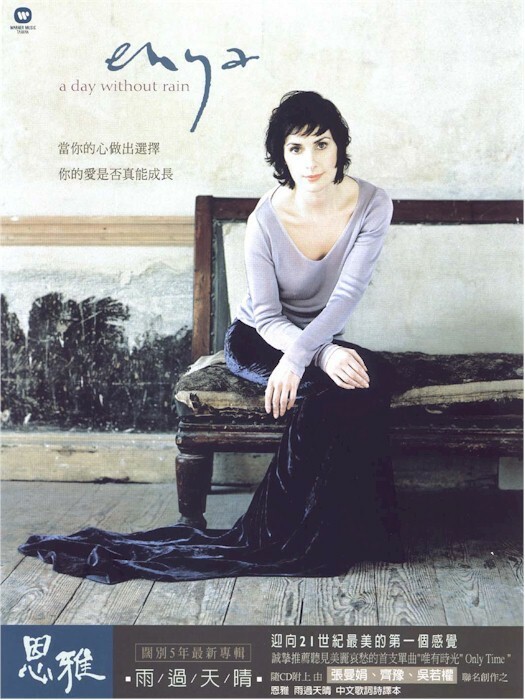 : As for asking Warner, I do not think that they keep spare copies. I believe that the best way is to find a store that has Enya posters on display and ask them politely to give them to you once the promotion is over. Obviously, you need to get your timing right. Yes i want the ptsws cover one too. But there are loads u can get bug theyee only smallish square things like Lp covers lol I want the big one featured here ha. I shall take pics pf my collection and upload a pic on twitter. I definitely just bought a few posters and even some vinyls because of this! 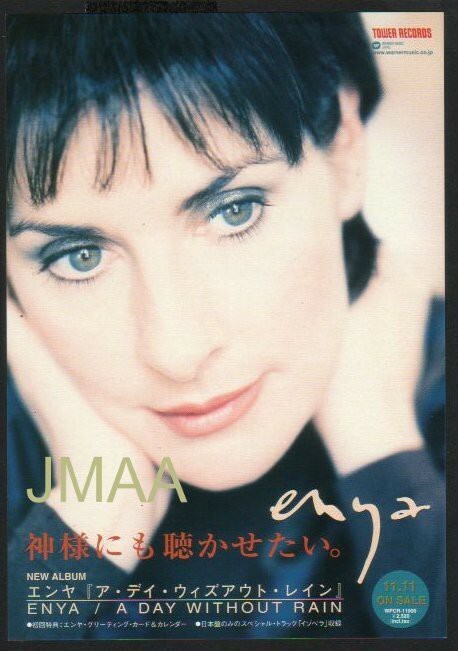 Made me realize how pathetic my Enya collection really is. I actually do have one poster but it isn’t an official one though it’s still very lovely. Time for some serious collection business I think. Thanks for posting the link though, very much appreciated! Amelia, I don’t know whether to feel happy or guilty right now ;) What did you get? And I’m still looking to get more! This is addicting AHH. If you like vinyls, I suggest looking at 12″ How Can I Keep From Singling? single if you don’t have it already. The cover is metallic and looks really cool. They have quite a lot of copies on discogs.com. You did! 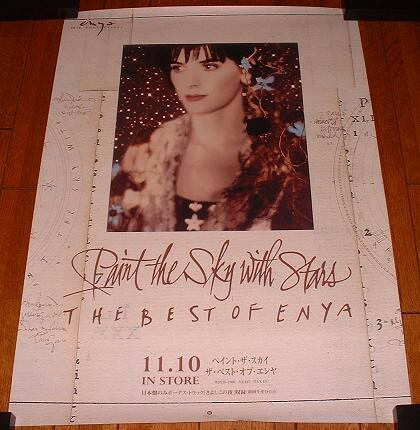 I actually bought two more things(another poster and The Best of Enya Collector’s Edition). Thanks for the suggestion! I’m gonna check out local record shops first and see what they have but I’ll definitely take a peek at discogs.com. 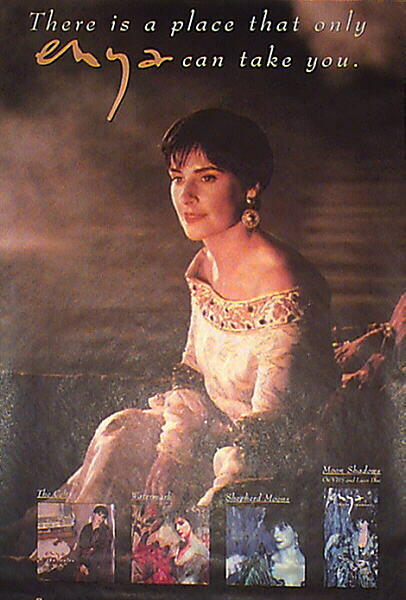 I am an avid fan of enya for a very long long time. 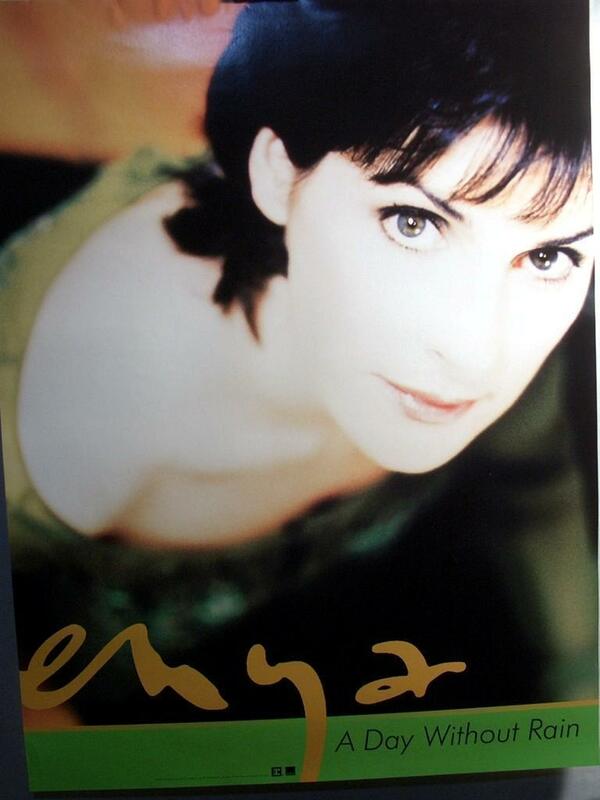 I have collected quite a few posters of her and I have a few duplicates in my collection that I would like to give away to other enya fans. All I ask is for you to pay the shipping fees. I will make contact the website owner to discuss arrangements. Fantastic color blends in each and every photo! Amasing!